Next Holy Year’s Organising Committee’s Plenary has just unanimously approved the draft decree which will regulate the use of the Xacobeo 2021 brand, in order to submit it for the approval of the Consello of the Xunta de Galicia this Thursday. The Minister of Culture and Tourism, Román Rodríguez, chaired this meeting today, which moved the need to regulate the practical application of the brand as soon as possible, as the program of tax benefits for companies and individuals is already activated. 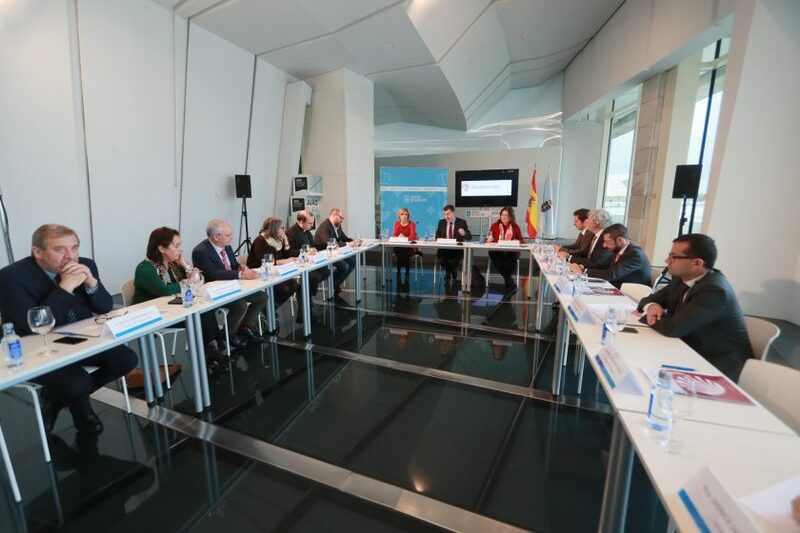 Through this decree project, the graphic identity manual, which establishes the basic principles that will be applied to the entire range of communication products of the Xacobeo 2021 brand in Galicia, is approved within the framework of the Galician Community. This document, which is addressed to all public or private sectors, directly or indirectly involved and which may be interested in communicating the name of the brand, is framed within the brand user manual approved by the Executive Commission of the Jacobean Council on November 6th. In addition to the approval of this normative text, the plenary also unanimously approved the strategic lines which will be taken to articulate Galicia’s joint plan for the next Holy Year. Both matters had already been exposed on November 13th in this body’s Executive Committee. The presidency of the Plenary of the Organising Committee of the Xacobeo 2021 falls to the president of the Xunta. It is also made up of several members of the Galician Government belonging to the Ministry of Culture and Tourism, Presidency, Finance, Social Policy and Infrastructure and Mobility; as well as representatives of the Government Delegation in Galicia, the Archbishopric of Santiago, the City Council of Compostela and the Fegamp, on behalf of the municipalities of Galicia through which the routes of the Camino of Santiago pass.